This video teaches you how to apply a lace front with tape adhesive. Lace wig tape is less damaging on the hairline when compared to liquid adhesive glues and allows for an easy lace wig application process. 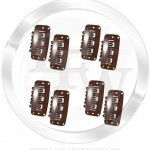 The wig tape used in this video is double sided and is primarily made for lace front wigs or full lace wigs application. Applying a lace front wig with tape can be completed in 5 minutes or less by following this tutorial video by lace-front-wig.com. 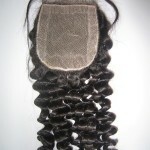 Prepare the wig tape strips and determine how many will be needed for applying your lace wig. If needed, cut the lace into smaller strips for hard to reach or smaller areas on the scalp. 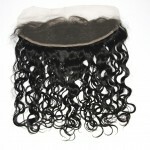 Use alcohol and scalp guard to clean the area of the scalp where the wig will be applied. Once you scalp is clean and oil buildup is removed, begin applying the lace wig tape using your fingertips to front and side hairline. If you have existing hair make sure not to apply the wig tape directly to it as it may cause damage. An alternative would be to wear a wig cap and apply the tape directly to the cap. 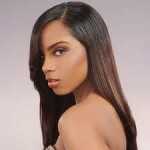 Begin applying the lace front wig or full lace wig starting from the front and working your way back. Give your wig a little pull to make sure it stays on your head. That’s all! Your lace wig is now applied using wig tape.